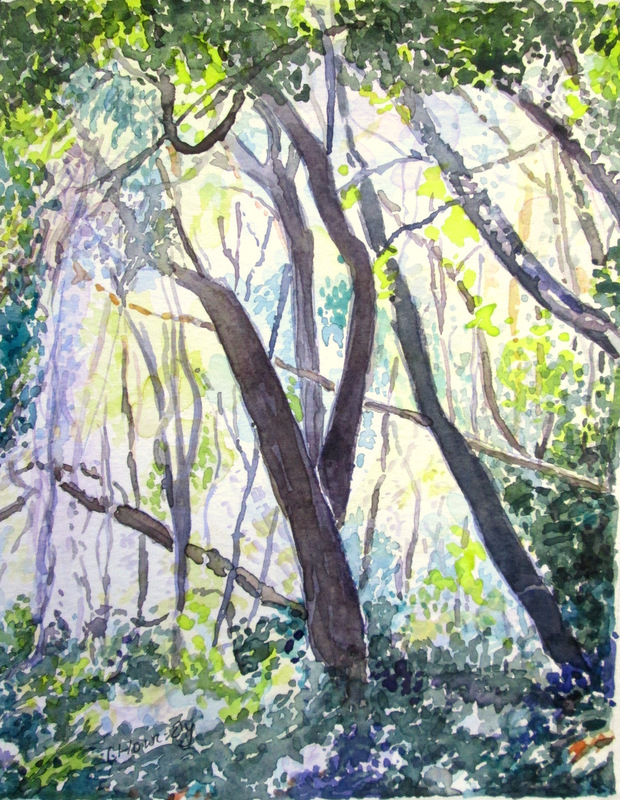 This was painted from a photo I took while hiking on the Otter Trail in 2017. There are some beautiful forests on the trail and Knysna loeries are often heard calling. 15 x 18 cm.